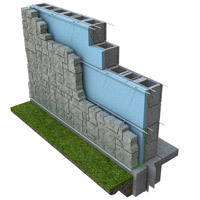 Designed for rubble stone walls with masonry backup, and provides anchors where they are needed. 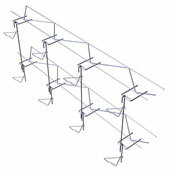 The wall reinforcement has a projecting third rod. 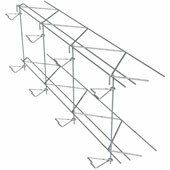 To this rod the stone mason attaches HELICAL HOOK ANCHORS with an easy twist. Anchor Type HS is for horizontal joints and Type HP for vertical joints. Thus, the mason can fit the ties to the wall rather than having to build a wall to fit the ties. 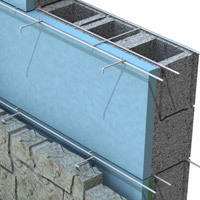 Rigid insulation is easily applied between the wythes. 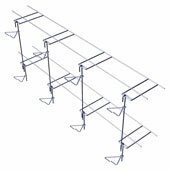 Standard: 9 ga. Deformed Side Rods. 3/16" dia. 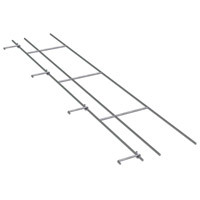 Cross Rods (16" o.c.) and 1/4" dia. Outer Rod. 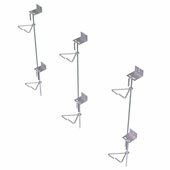 HP & HS Helical Hooks are 3/16" dia. 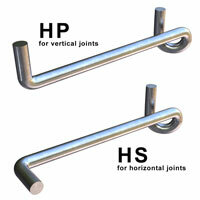 • HP & HS Helical Hooks are 3/16" dia.